For 9 generations, a ritual has been born in the Lamothe family: the winemaker of the previous generation teaches to the following one, the importance of respecting the environment and the taste for work well done. Being closer to nature and keeping the connexion between Man and Vine, is essential to create great wines and reveal the typicity of our terroirs. To find this harmony with nature, we are continually questioning ourselves. The attention paid to our plots allows us to adapt our actions to help the vine offer the best. A philosophy strengthened since the 90s, which makes the estate a precursor in the integrated management of the vineyard. 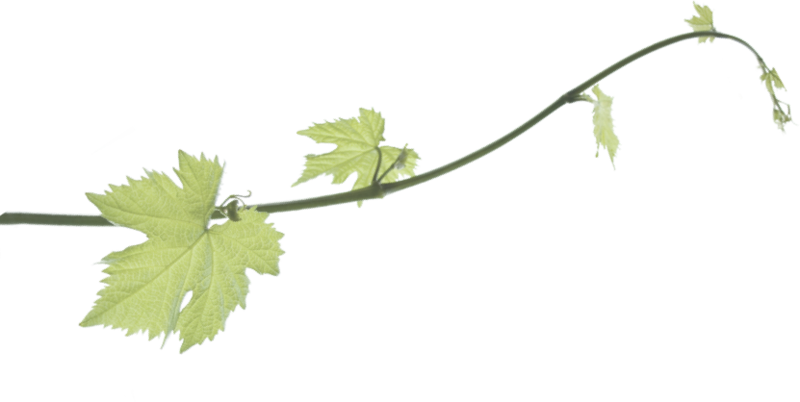 Heirs of this wonderful heritage, we must cultivate, take care and protect the vine, this outstanding plant, in order to pass it on better to future generations. Although the cycle of the vine is the same every year, each vintage is unique, and our profession differs each year. 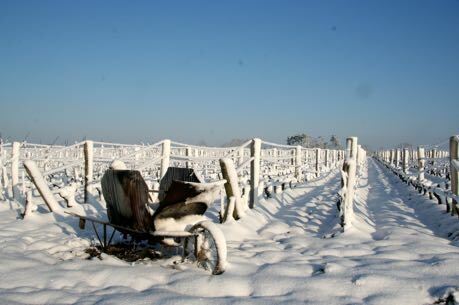 To preserve the balance of the vine and cope with weather conditions, diseases and pests, rigor is required. A meticulous and precise follow-up allows us to know perfectly each of our parcels. The ancestral gestures transmitted by our forebears are applied, to give them the same care, with a particular attention paid to our old vines. With an average age of 50 years and up to 121 years for the oldest, our vines are old enough to produce great wines. The pruning of the vines, very short (6 to 8 buds / vine), is the most adapted pruning method for our grape varieties, in order to reduce their yield in favor of very concentrated juices. Despite the humidity of our climate, we have chosen to limit interventions and inputs as much as possible. The observation of each plot allows us to calculate in real time the risks incurred by the vine, in order to calculate thoroughly and apply preventive treatments and therefore less harmful. Since 2000, we have decided to priorize soil preparation. Thus, we alternate between covering and baring the vine’s stock base and superficial work in the strictest tradition, which favors aeration of the soil, and forces the roots of the vine to fetch their nutrients in depth. Natural grassing, allows regulation of the hygrometry of the soils and maintain the vigor of the vine. We adopted this method in 2009. 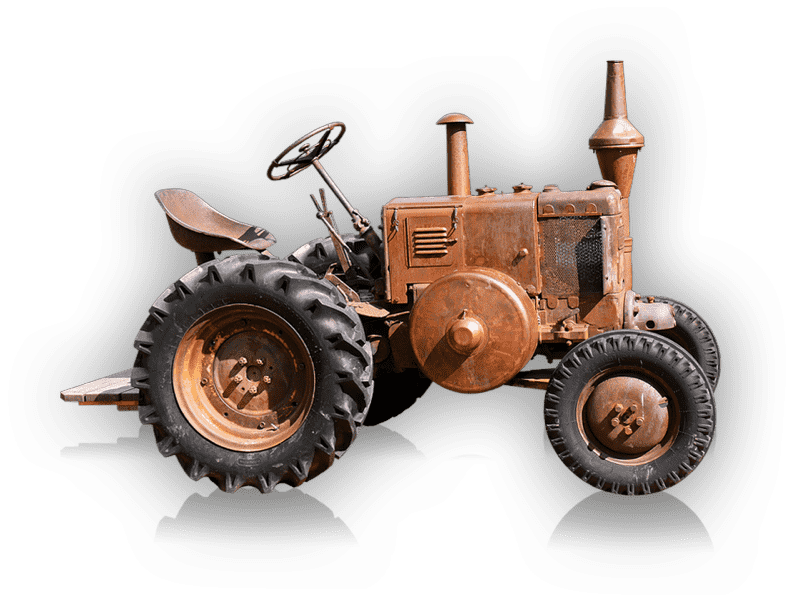 The fertilizers are applied rationally, using organic materials based on composted grape marc and bovine manure.With an average age of 50 years and up to 121 years for the oldest, our vines are old enough to produce great wines. The pruning of the vines, very short (6 to 8 buds / vine), is the most adapted pruning method for our grape varieties, in order to reduce their yield in favor of very concentrated juices. Despite the humidity of our climate, we have chosen to limit interventions and inputs as much as possible. The observation of each plot allows us to calculate in real time the risks incurred by the vine, in order to calculate thoroughly and apply preventive treatments and therefore less harmful. Since 2000, we have decided to priorize soil preparation. Thus, we alternate between covering and baring the vine’s stock base and superficial work in the strictest tradition, which favors aeration of the soil, and forces the roots of the vine to fetch their nutrients in depth. Natural grassing, allows regulation of the hygrometry of the soils and maintain the vigor of the vine. We adopted this method in 2009. The fertilizers are applied rationally, using organic materials based on composted grape marc and bovine manure. Our love and deep respect for these exceptional terroirs encourage us to create unique wines, sublimating each of them. Château Haut-Bergeron has been distinguished by its particularity in making wines from two distinct locations. The first one in Sauternes, which brings richness and structure to our wines, and the second area in the village of Barsac, that gives a perfect balance to the wine with minerality and freshness. As a consequence, it makes our work more laborious, but it also gives us the chance to have a good sampling of each terroir. On one hand, the soils are sandy-gravelly with clayey subsoils especially when rising on the slopes of Sauternes (two thirds of our vineyards), near the Château Yquem, which brings power, richness and structure to our wines. On the other hand, when we get closer to the Garonne valley, near Barsac, the soils are clayey-limestony with limestone subsoils, which gives different wines, focused on minerality, liveliness and nervousness, often less opulent than those of Sauternes but generally fresher in terms of balance and aromas. The king of Sauternes grape varieties. 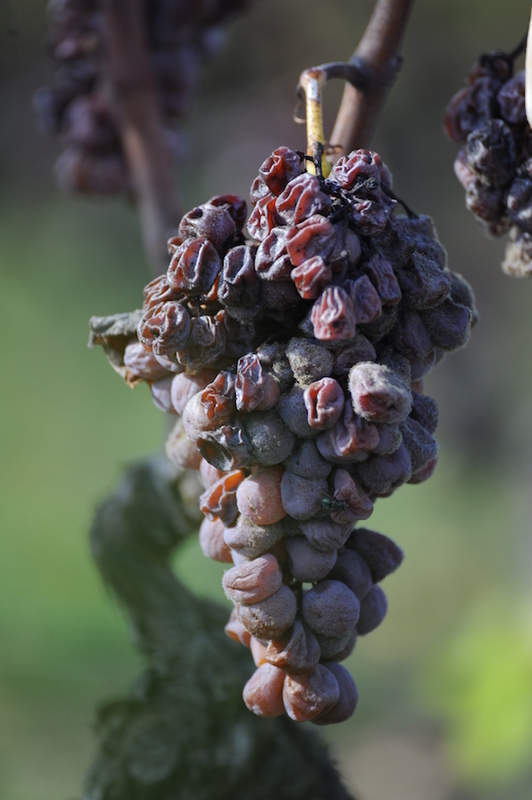 Productive and perfect for the development of noble rot. Brings richness and roundness to wines. Aromas of hazelnut, apricot, orange, acacia flowers and honey. The brilliant second grape variety of Sauternes. We are planting it more and more again. Very sensitive to noble rot. Provides structure, freshness, acidity, minerality and aromatic complexity. Citrus and white peach notes. Participates modestly in the confection of some Sauternes. Very sweet, slightly musky juice with floral and exotic fruits aromas. All the care given to the vine during the vegetative cycle allows us to pick high quality fruit when the harvest comes: the noble grain, a botrytised berry that has reached an optimal over-maturity. Accuracy, responsiveness over time, and know-how in harvesting are therefore essential. 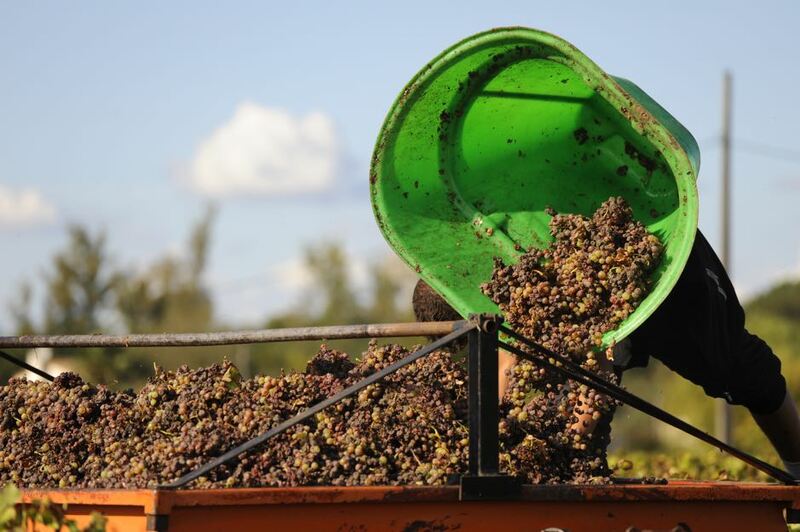 For that reason, our harvest is done manually by about forty experienced pickers. We pick up to 6 times on the same plot to select only the perfect berries. For our first wine, every year, a very strict plot selection allows us to harvest only the grapes from our best terroirs.